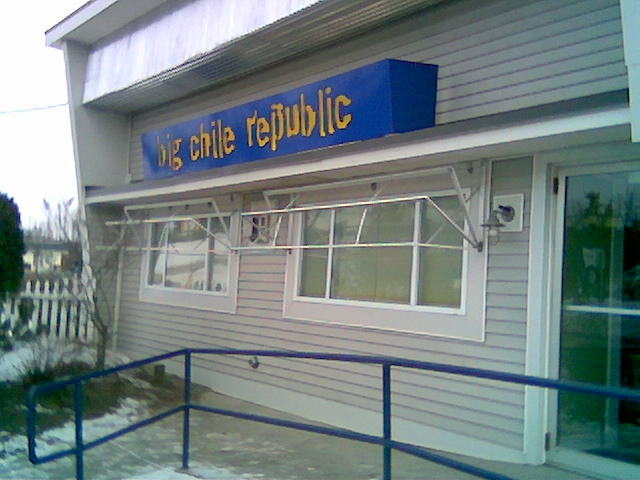 Big Chile Republic has taken over the old Juniors location in Colchester Vermont. The menu is something I’m going to call foodie Mexican fusion. BCR did a nice job on the interior and the menu / website are nice, almost like they have a designer working for them or are trying to match their hip food. 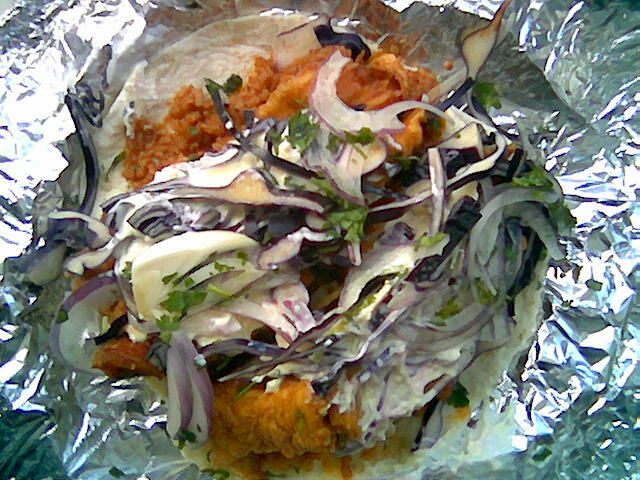 There are two generous tacos in this order, the fish was some of most perfectly fried fish I’ve had since I was in England. The red rice was nice and moist and had good flavor, the onions and cabbage provided a nice crunch which matched the crunch of the fish. The fresh cilantro was nice visually and taste bud wise. The surprise was the “smoked lemon mayo” it was very light and tasted like the lightest sour cream with a kick of citrus and an indefinable flavor (which must be the smoked). Oh yeah, I’ll be back to try some of their other menu items. The tacos were $8.67 with tax, a touch pricey but well worth it for the quality of the food and flavors. 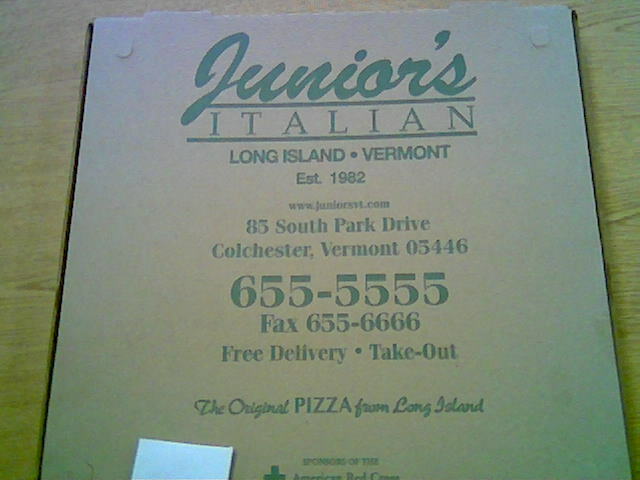 Purple Knights Pizza right across from Saint Michael’s College in Colchester Vermont. Purple Knights is a Pizzeria but they also have great salads and sandwiches. 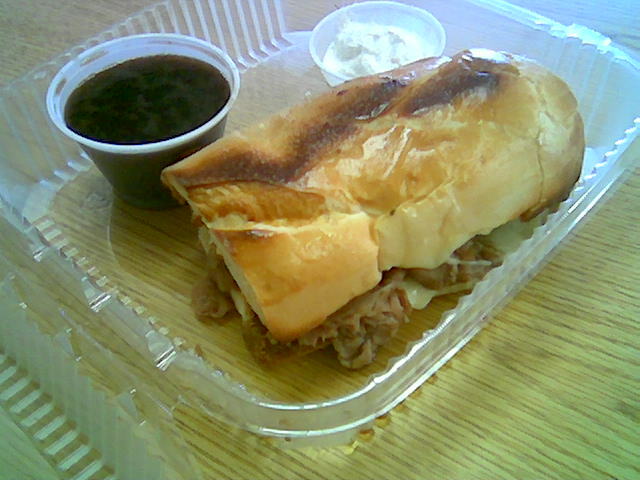 I ordered a small beef dip known elsewhere as a french dip, and a small garden salad. 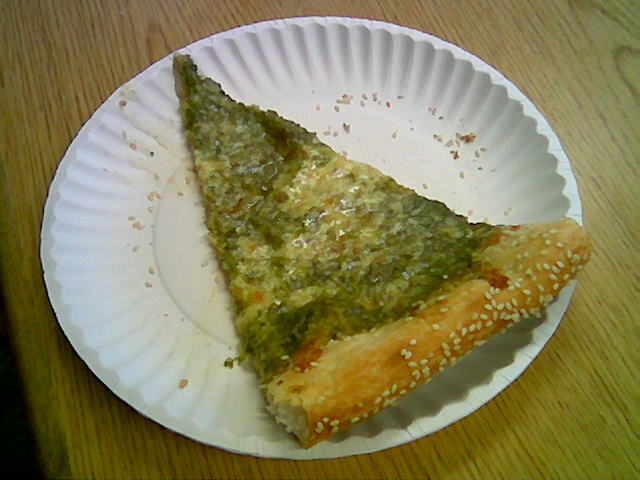 The roll is freshly made on-site, and is actually garlic bread. 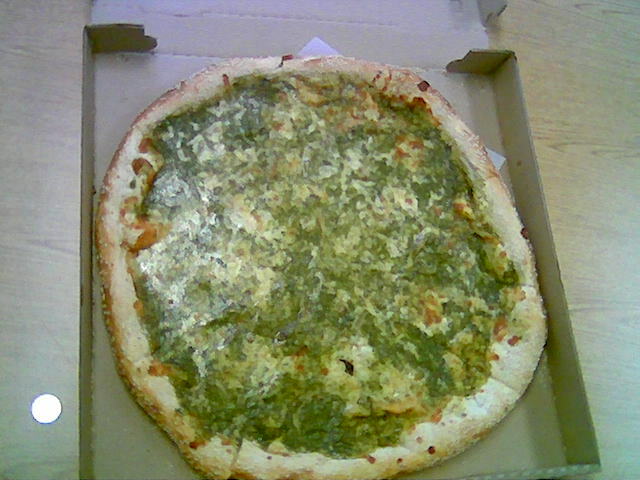 I ordered my “dip” with added Swiss cheese. 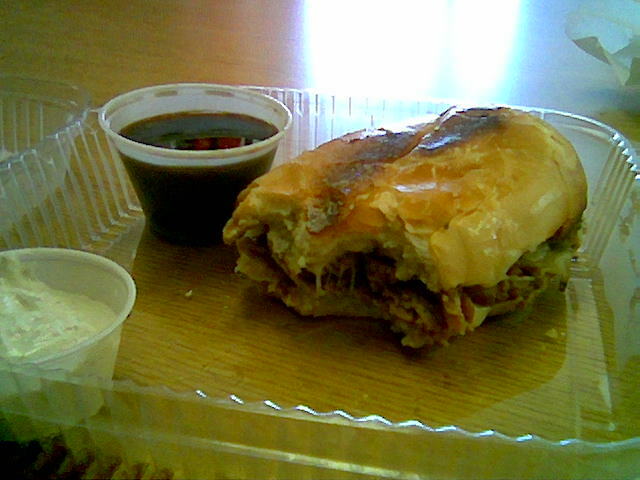 The roast beef was still slightly pink and tasted great. The Aus Jus is properly salty and beefy. The “horsey” mayo (horseradish mayo) side is tasty , but is superfluous IMO. 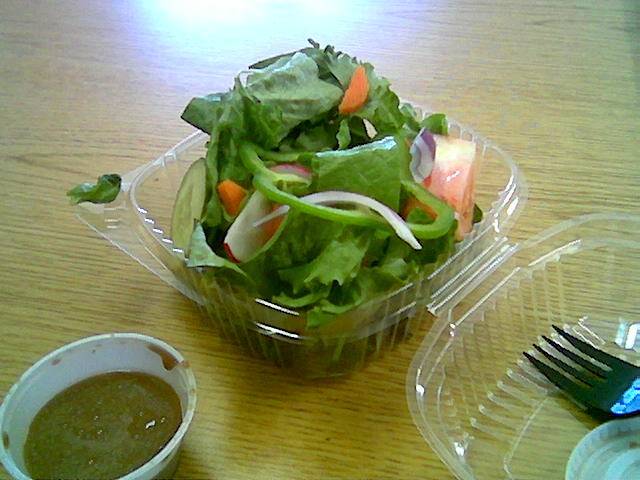 The salad contains green pepper, red onion, radish, carrot, tomato, cucumber, and a mix of mesclun greens and romaine lettuce. While the variety of the vegetation is nice, what is more impressive is the in-house balsamic dressing. It is nicely emulsified (how it’s emulsified I’m not sure), and has a perfect acid / oil mix. The dressing makes this salad. 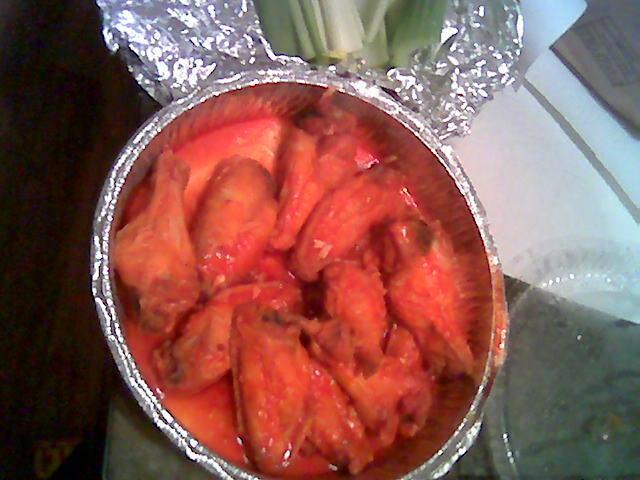 They two items came to just under 8 dollars, a nice round tasty meal. I love PK’s take on the beef (french) dip and the garden salad with balsamic.